Late last year The Wine Advocate announced they were visiting London in 2015 as part of a global series of exclusive events for eRobertParker.com members and wine enthusiasts. Cult & Boutique Wine Management sent a select few from our team to rub shoulders with some of the most influential people in the fine wine world and take the opportunity to sample some outstanding wines along the way. 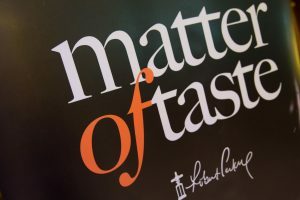 Entitled a Matter of Taste and held at The Saatchi Gallery in late February, the informal, walk-round tasting featured over 200 iconic wines from around the world represented by talented winemakers and estate owners. Each wine was handpicked for its outstanding quality and complexity and had been awarded 90 points or above by The Wine Advocate. The line-up of wines at the tasting was exceptional both in quality and number. It included iconic names from Bordeaux, Burgundy, the Rhone, Champagne, Italy, Spain, Austria, Portugal, Greece, Israel, the United States, South Africa, Australia and New Zealand. 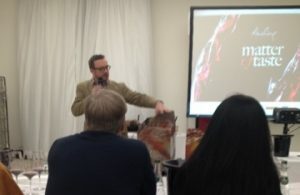 Well known favourites like Château Léoville-Barton, Domaine Drouhin, Pol Roger, Penfolds Grange, Sassicaia, Château de Beaucastel and Taylor’s Port trip off the tongue as well as in-depth masterclasses featuring Dominus Estate, Michel Chapoutier, Château Ausone and Louis Roederer Cristal, amongst others. What’s more, most of The Wine Advocate Review team were on-hand throughout the day to provide comments, answer questions and engage in wine discussions. The careful selection presented by Robert Parker’s team included many wines that our Clients either own as part of their portfolio, or would be familiar with through speaking to their Portfolio Manager. Australian boutique winery Two Hands Wines had their Bella’s Garden Shiraz featured as part of the main line up. Bella’s Garden has also been featured in the Wine Spectator Top 100 for nine consecutive vintages so it was great to see The Wine Advocate reminding the world of the quality and skill of Australian wine makers. We also sent two of our Senior Portfolio Managers – Daniel Paterson and Nicholas Jacques – to the Chateau Ausone Masterclass which offered the opportunity to sample various vintages of the Saint-Emilion Premier Grand Cru Classé Chateau. Hosted by none other than The Wine Advocate’s Neal Martin this was an opportunity to both compare and enjoy five shining examples of this right bank powerhouse. 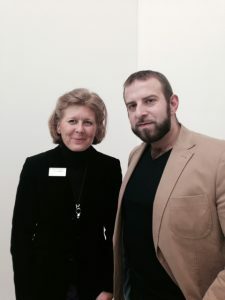 Chateau Haut-Bailly’s Veronique Sanders was on top form following the recent upgrade of the 2009 vintage to 100/100 by Robert Parker and suggested Cult & Boutique Clients acquire the 2008 & 2010 vintages for capital growth purposes. These events are free to all subscribers of The Wine Advocate and we would encourage any Clients that want to expand their knowledge and experience with fine wine to contact us and arrange an annual subscription.